23.04.2018 – The Big Pedal!! Your children might have been pestering you to use their bike or scooter to get to school this morning! This is because we have entered a national school competition, The Big Pedal, which promotes active travel to school. In order to win we need to get as many bikes and scooters to school as possible and encourage our children to travel in an active way t0 school to promote a healthy lifestyle! If we were to win as a school, we will win some great prizes! It was great to see 15 bikes and 11 scooters this morning on our bike racks! If you have signed your child up for tomorrow’s cycling skills sessions by signing form with myself, please send your children with a helmet so they can take part in the fun! Below is a link to a flyer for the project Get Balby Moving, promoting some great opportunities to get active in the local area this summer! 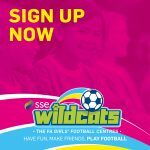 Currently 21 girls have signed up for the SSE Wildcats Girls Football session with places still available! We are looking forward to the first session on Wednesday at 3.30 as part of the FA’s Girls Football Week! Great to see! 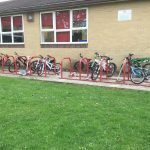 Our cycle Stands nearly full! ← Cricket, cycling and plenty more!!!! 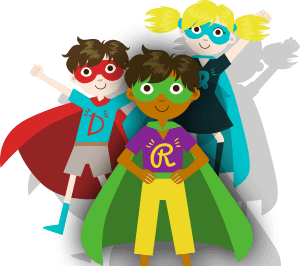 At Balby Central we pride ourselves on our strong inclusive ethos and rich cultural diversity which celebrates each child's uniqueness and individuality.